If your sights are set on joining the nursing profession, you may benefit from attending a public institution. 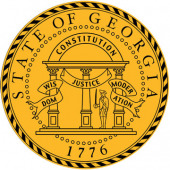 Georgia has numerous state-supported schools that offer a broad spectrum of nursing programs, including licensed practical nursing (LPN) certificate, registered nursing associate's degree (ADN), and registered nursing bachelor’s degree (BSN). Many public universities also confer the title of advanced practice registered nurse (APRN) after completion of an additional two- to three-year master’s degree program. Registered nurses in Georgia have the potential to earn $63,600 per year, while APRNs can earn $88,840 or more annually depending on field of specialization. If this career path seems attractive, you'll need to decide early on whether to attend a public or private institution. A public college or university receives part of its funding from state taxpayers. A private college or university receives all of its funding from the students – past and present – that are admitted. Public colleges and universities are therefore often less selective and less expensive than their private counterparts. Many public colleges and universities in Georgia offer lower tuition for state (or local county) residents. Many of Georgia's largest public colleges and universities offer an extensive selection of nursing programs. These include Georgia State University in Atlanta, Georgia Regents University in Augusta, Columbus State University in Columbus, and Armstrong Atlantic State University in Savannah. The major hospitals in Georgia do most of the hiring of LPNs, RNs, and APRNs, and thus offer the best starting point for job openings after graduation. Some of the largest hospitals in Georgia include Emory University Hospital in Atlanta, University Hospital in Augusta, Kennestone Hospital in Marietta, and St. Joseph’s-Candler in Savannah. To make choosing a nursing program just a little bit easier, we’ve included below a full list of Georgia's public colleges and universities with nursing programs.